Gentle Dentistry is proud to introduce a new cutting edge procedure, the Inman Aligner “Wonder Brace”. Treatment times from as little as 8 weeks! Set to take the UK by storm, the Inman Aligner can straighten front teeth in a fraction of the time of conventional orthodontics. The Inman Aligner is a removable appliance that applies continuous gentle pressure which quickly aligns crowded front teeth. 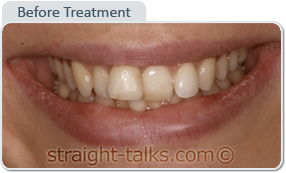 The initial treatment can be completed in 8-12 weeks. Minor crowding can be corrected in 8 weeks or less. 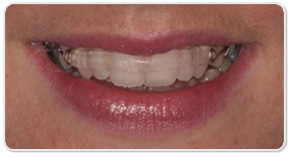 As the Inman Aligner is removable, it can be removed to eat and to clean the teeth. 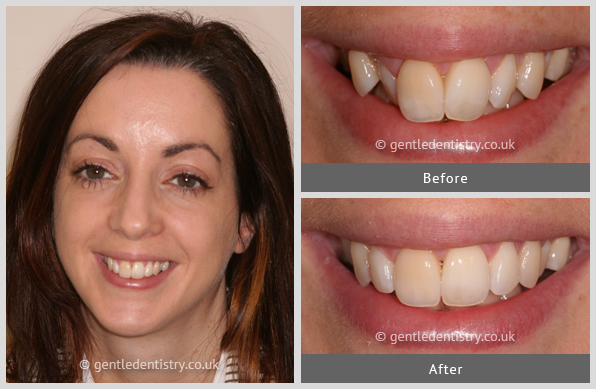 The Inman Aligner is one of the most amazing breakthroughs of recent years and the ability to carry out rapid tooth movements prior to cosmetic treatment allows us to be more conservative than ever before. 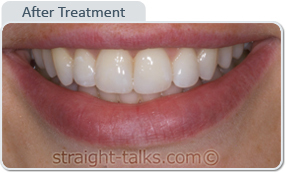 Treatments look and feel better, last longer and are healthier for your teeth and mouth. If you have already had veneer treatment on your upper teeth you may also like to consider the Inman Aligner for any minor corrections of your lower teeth. You don’t want to be stuck with “train tracks” or fixed orthodontic appliances for many months. Treatment times begin with just 6 weeks and on average are between 12 and 16 weeks. While a standard brace can take more than two years to create the perfect smile, this new device takes between six and sixteen weeks to move teeth back into alignment. The Inman aligner is limited to mild to moderate realignment. Acrylic at the front of the teeth, together with springs behind, apply a gentle pressure so that the teeth are moved into the correct position. 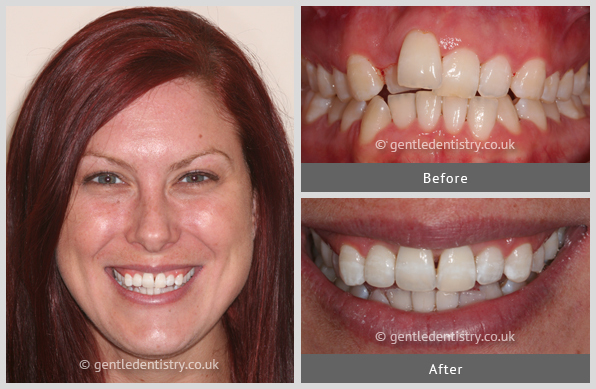 The gentlest of pressure is applied to the teeth to effect this alignment. This can take from 6-16 weeks, which means you will have a beautifully straight smile in approximately four months. This is significantly less time than any other orthodontic treatment might take. The Inman Aligner is a little like a sports mouthguard, but it is thinner and it is transparent, which means that it is virtually invisible. Call us now on 01202 432838 to arrange a free Inman Aligner Consultation worth £75.